Drifting, drifting inside... man, the highs and lows lately have been killers. Haven't seen Precious, Blind Side, An Education or District 9 yet. When I do, my ranking list will be complete! It also touches on the idea of who defines bad and good, as far as "good guys" and "bad guys". I'm sure in about every conflict, each side thinks they are the good (or at least justified) guys. World War 2 seemed such a black and white case of good versus evil... but I bet from the Axis' perspective, they didn't see themselves as evil, at least as far as the rank and file frontlines guys... I'm sure they all wished the war would end so they could go home, like everyone else. 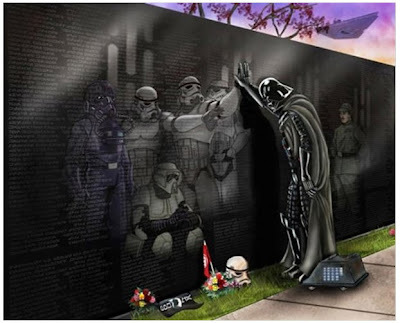 All that to say, I saw the Star Wars pic up there and immediately had strong, conflicting feelings. It was funny, inappropriate, in bad taste, and moving, all at the same time. Weird. 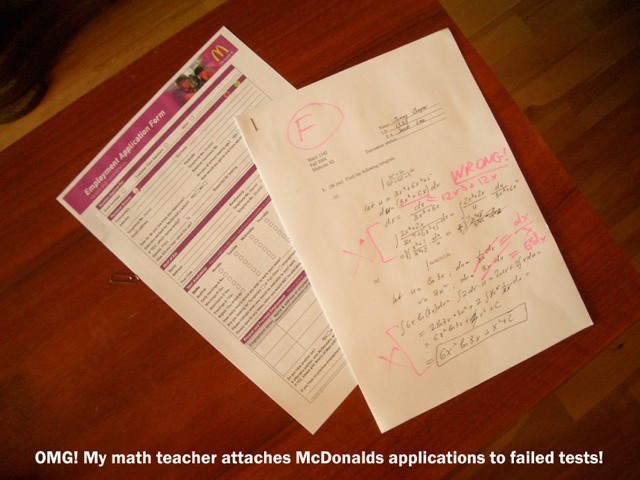 There's a teacher out there who attaches McDonald's applications to failed tests. Classic. It's almost Eldest Daughter's birthday, so it was an early gift. She's turning 20. Dang. I'm old. In honor of Robin Wright Penn's birthday on April 8, here is a scene from Princess Bride. Heading for the finish line on Hawkwood's Voyage. It has enough strong elements to warrant a full read-through, I'd say. The author writes with confidence and competence, in spades. I'll have a review up soon. Then I'll get to decide what to read next! Next from Netflix is The Invention of Lying and Duplicity. If either of them are any good, I'll let you know! Ah, such are the services I provide for my vast blog-reading audience! You are welcome! It is indeed a moving pic. No matter how 'bad" one's role may be, he still has emotions and ideals of his own. A question one asks himself from studying History or Philosophy is exactly that : what's good and bad ? what's right and wrong ? and who decides the distinction ? My figure, is that there is neither bad neither good. It depends. Each culture, each civilisation, each society has its own definitions of good and bad, which constantly transform through the ages. These definitions don't just vary among societies, but among individuals as well. Everyone does what he thinks is right. Given that all of us adhere to our own sense of good and bad, our own sentiments, and our own morals ... to a truly objective eye, either all of us are good, or all of us are bad. Also bear in mind that the History we know has been written by the victors. My draft conclusion : there is neither bad nor good. There's only human nature. P.S. I like that teacher. 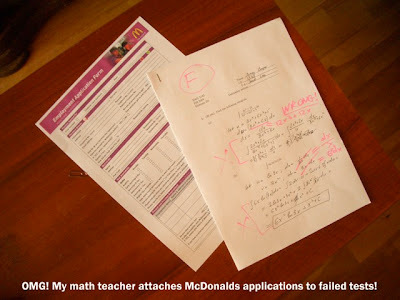 That's what you get for not studying basic Integral Calculus ! P.S.2. My captcha : "yoppo" ! I like the picture. I don't feel like it's belittling or picking at the Wall memorial, but that it's pointing out a truth in warfare, be it fictional or real. People die, and those people are loved by someone. It's all just a matter of perspective. Drydoryssus' argument of there being no good or bad warrants further investigation. I think it's logical to reach this conclusion when we look at the state of the world, but looking deeper I believe there is a clear distinction between "good" and "evil." Evil exists because of sin in the world; otherwise there would be no pain and suffering. Every person (with the exception of those mentally incapable) recognizes when they cross the threshold into doing something "bad" to someone/something. I think after crossing that threshold too many times then the mind molds itself to acceptance and the "bad" is justified, thus it becomes "good." Now as long as you can switch perspectives then it's easy to see people as always doing good or bad. However, I don't see why we should be free to switch perspectives. No, perspective should be held constant. An excellent post and a great comment! By the way, Duplicity sucked. Queue up District 9! Blind Side had an excellent story line, but you probably won't be impressed with the acting. It appears to have been done intentionally, but some shots come across stilted. Good move on the netbooks. I get rankled when I come home from work and the battery in my laptop is drained. Book talk: Wow, the 2nd Mistborn is starting out slow...I shall persevere in the name of giving new genres a fair chance. Thanks for the follow up to my Amateur Philosophy comment. "Evil" is a wider concept in this world we live in. I never intended to deny its existence. What I aimed to express is how different minds have different perspectives, like you said. 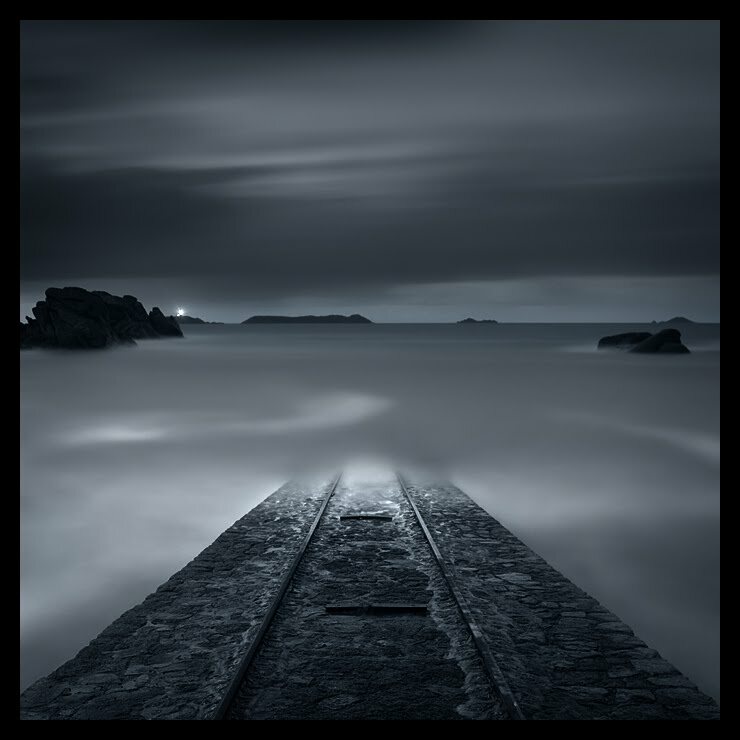 The absence of "good" and "bad" tags is required just for the purposes of objective thinking, essentially unaffected from the observer's own conscience. Such an observer cannot change his perspective, because quite simply, he hasn't got any. P.S.3. Great existentialist opening pic ! What's best to express one of those mood swings / depression attacks. You have a 20 year old daughter? That makes you older than me in child/parent ratio years. HAH. And I am totally sympathetic to the highs and lows you speak of, being peri-menopausal does that to a girl. Duplicity was just not very good. Lying I wish I had walked out of. why do people think that the 2nd mistborn started out slow? I thought it was perfect. I tore through it, lol. The top picture is very interesting. I keep being drawn to that tiny speck of light in the left corner and I wonder, what is it? Dang... lots of great comments today! You all = the Best. You know, I've been reading for a while and, I can say, I haven't come across a book that gets into the head of a villain. Several months ago I was interested in maybe finding a book that the narrator (or one of the narrators in some cases) was a villain. I asked around over on Barnes and Nobles fantasy thread, and not a one knew of any. Not even the book reviewer/moderator Paul Goat Allen(has a review in the front of Pats paperback :), and he has read more books than imaginable! lol... Very Sad. I'm still looking, too, it's definitely a cool concept so if you come across any let me know. Anyway, I hope you go for it! I, for one, would love to read a Fantasy Fiction like that. Seen all these movies below and I think this is how I would rate them. They were all great except maybe Hurt Locker, it was just okay.